Alongside the launch of new Apple Watch bands, which were first previewed in a press release last week, Apple has also updated its lineup of iPhone and iPad accessories today following its Chicago event. The updates include new colors for the iPad Pro Smart Cover and Leather Sleeve, with similar new shades for iPhone cases. Also, in a surprise debut, the Space Gray Mac accessories that ship with the iMac Pro are also now available for separate purchase. The iPhone X, 8, and 8 Plus all have new case color options that are bright and fitting for spring. The iPhone X's Leather Folio is now available in Electric Blue and Soft Pink; those same two colors join Spring Yellow and Bright Orange in the new iPhone X Leather Case lineup. Silicone cases for the iPhone 8 and 8 Plus – which also fit the 7 and 7 Plus – now come in Red Raspberry, Lemonade, and Denim Blue. Leather Cases for the 8 and 8 Plus added Bright Orange, Spring Yellow, Electric Blue, and Soft Pink options. If you've ever considered buying an iMac Pro just for its gorgeous Space Gray accessories, as of today you can save those few thousand dollars. 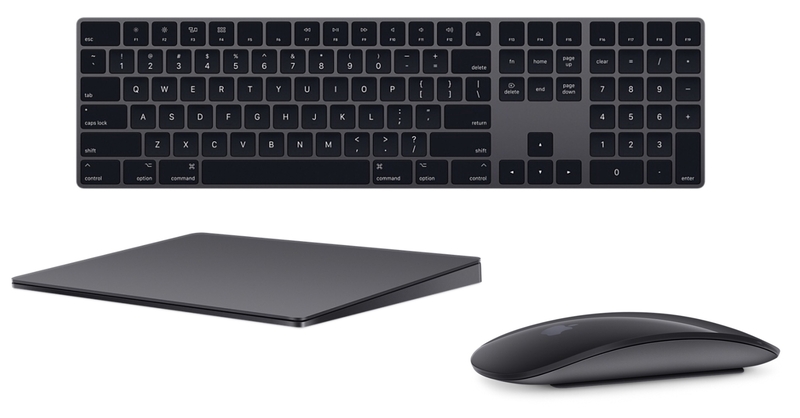 The Magic Keyboard with Numeric Keypad, Magic Mouse 2, and Magic Trackpad 2 are all now available in both Silver and Space Gray. If you're in the market for new covers for your iPad Pro, you're only in luck if you're a 10.5-inch user. For that model, there are new Red Raspberry and Lemonade colors of the Smart Cover and Electric Blue and Soft Pink for both the Leather Smart Cover and the Leather Sleeve. 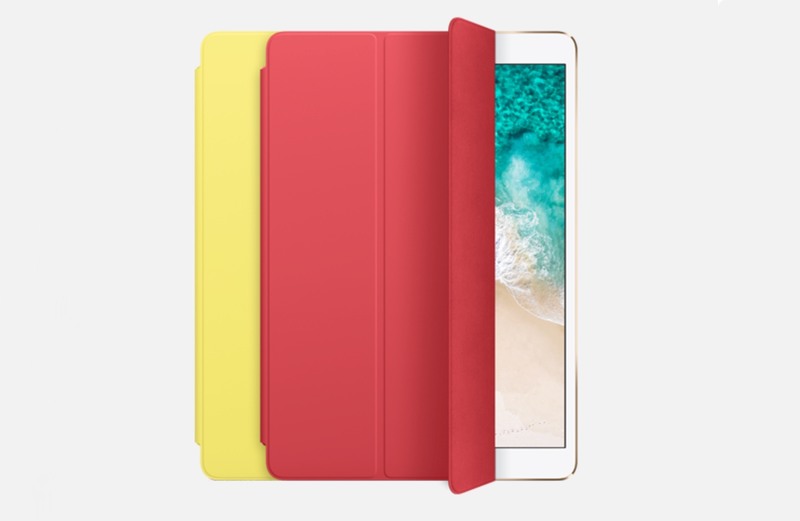 Unfortunately, there are no new color options for 12.9-inch iPad Pro owners. Perhaps as a consolation, those users can pick up one of the new Apple Pencil Case variations of Electric Blue or Soft Pink.